Great Lakes Clinical Trials was proud to meet hundreds of seniors at the 2017 Senior Service Expo located at the state-of-the-art Arlington Heights Senior Center. 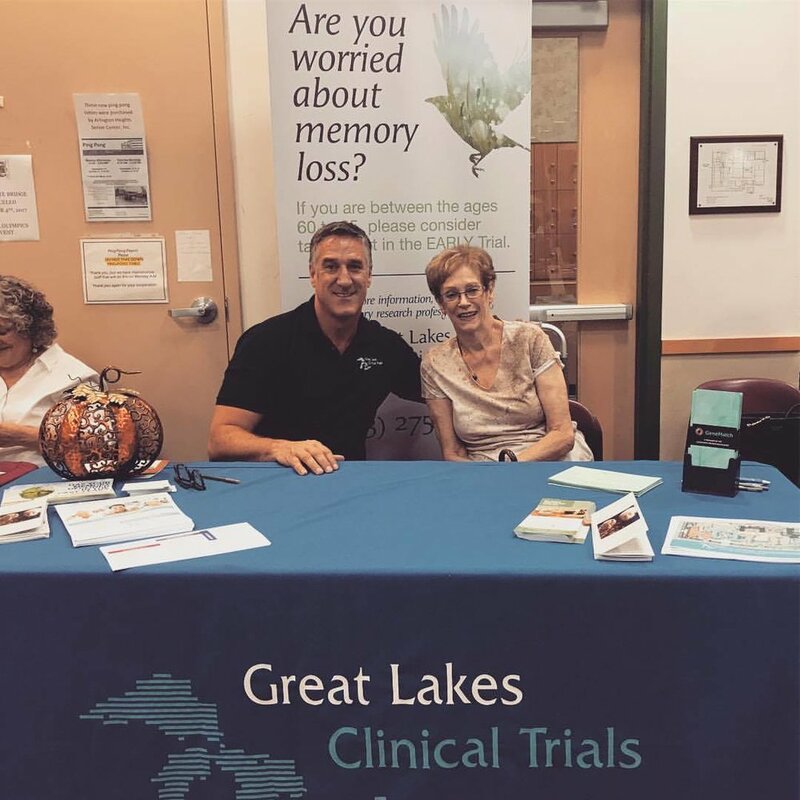 GLCT President, Steve Satek, discussed the various memory research studies ongoing at Great Lakes with a special emphasis on the studies that have started at their new location within the Lutheran Home (800 West Oakton in Arlington Heights). "I couldn't be happier to discuss the exciting research we are conducting at our Arlington Heights facility," commented Steve. "We partnered with the Lutheran Home to provide direct access to cutting edge research studies for both the residents of the Lutheran Home and Luther Village, as well as for all residents of the surrounding Northwest Suburban communities." Great Lakes Clinical Trials' research programs in Arlington Heights are for seniors who are generally healthy and are not experiencing significant memory loss. "We are studying new treatments to help prevent future memory loss," added Steve. "Now is the time for today's seniors to participate in research and be part of the solution to ending Alzheimer's disease - before the memories are lost." All research at Great Lakes Clinical Trials is provided free-of-charge, and insurance is not required. Research is conducted by board-certified clinicians. For more information on the research programs and to learn how to participate, call (773) 275-3500 or click here for more information. Newer PostLiving with Diabetic Nerve Pain?